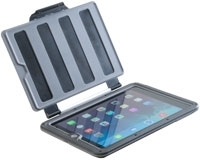 Defend your new iPad Air™ with genuine Pelican built toughness. 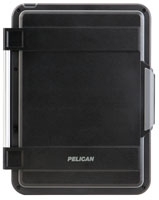 With its versatile cover, the new Pelican ProGear™ Vault case protects your device in a variety of ways. Closed, it prevents impact to the screen. Open, the Vault provides the freedom of cover-free use, an impact absorbing case and a protective seal against water and dust. 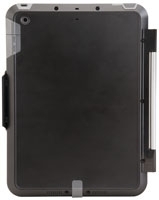 By fully rotating the cover, the case provides multiple viewing angles to comfortably use your tablet on any surface. 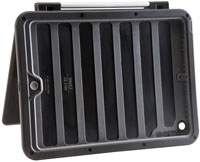 10.30" x 8.48" x 0.75"